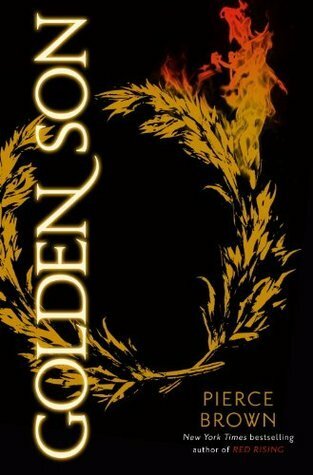 The second book of the trilogy, Golden Son, came out in January, but before I jumped into the sequel I reread Red Rising. I remembered a lot of the major developments and twists, but really needed to refresh my memory about the details. I found myself gasping as it all came back to me. I did love Red Rising just as much as I did the first time. Reading Red Rising again was the smartest thing because while Golden Son does occasionally remind you of happened in the first book, it does not waste time with the details. It is best to read them back to back. Like Red Rising I loved the characters ever changing developing and regressing relationships. There is so much that goes on with the alliances, plotting, and backstabbing politics. You shouldn’t read this while tired but it is also a page turner that is difficult to put down. The pacing of the story is well done. The story never slows, but even during moments that are not action filled the scene has meaning. There is no filler. There is humor, romance, suspense, jaw dropping moments, and intense caring for the characters. Except maybe for the ones you love to hate. I saw a reviewer call Darrow a Gary Stu, and I must disagree. He is flawed and makes some mistakes. He learns from mistakes but also is not invincible to never make another one ever again.